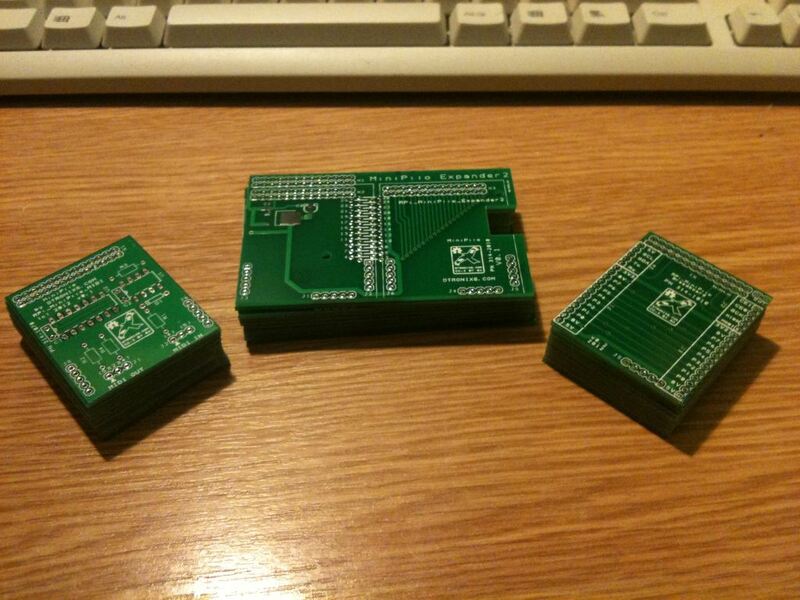 We got a new batch of PCB’s yesterday. In the packet were two new board designs and a revision to a favourite. MinIPiio Expander2 – A new carrier board which takes two different MiniPiio boards, doubling your MiniPiio fun! It has a on-board 3.3V power supply and cut-able tracks in case you need to isolate or swap signals. Our favourite MiniPiio ProtoBoard was given a size makeover to make it a standard 40 x 50mm MiniPiio footprint. This allows it to work with the new MiniPiio Expander 2 board. You can find our latest schematics and BoM’s on GitHub at https://github.com/DTronixs. We are pleased to report that PartCo of Finland are now stocking DTronixs MiniPiio boards. Please visit their site and see what other parts they stock. You are currently browsing the Zuzebox's Blog blog archives for November, 2012.